Racist and disgraced former Sheriff Joe Arpaio, who is now running for the U.S. Senate as a Republican, recently gave an interview to a publication that’s pushed claims that the Holocaust is a “hoax” and 9/11 was a “Jewish” plot. 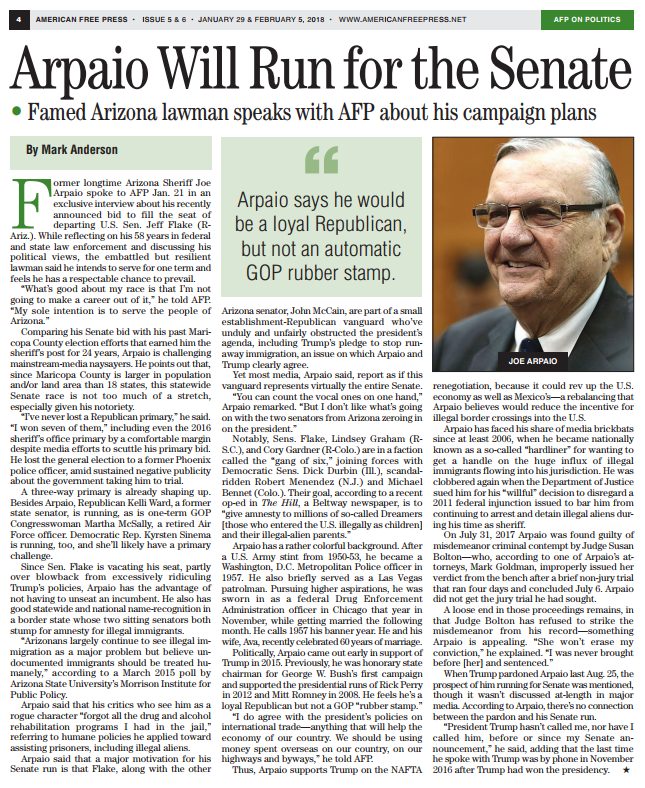 The American Free Press wrote in its January 29 & February 5 issue that Arpaio “spoke to AFP Jan. 21 in an exclusive interview about his recently announced bid” for Arizona’s Senate seat. During the interview with "roving editor" Mark Anderson, Arpaio promoted the viability of his candidacy and defended President Donald Trump’s agenda. 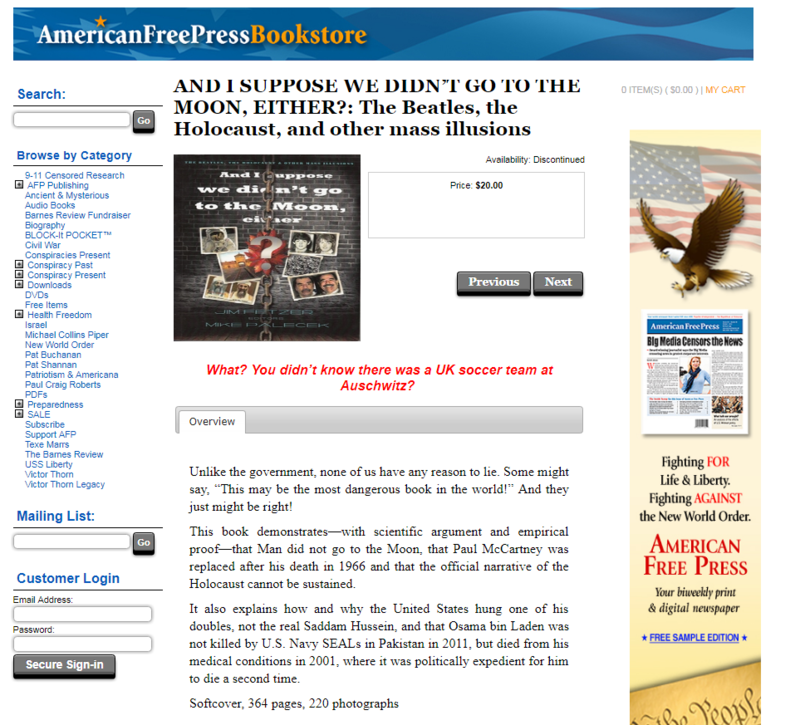 Civil rights groups have heavily criticized American Free Press over the years. 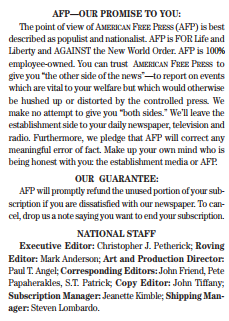 The Anti-Defamation League described American Free Press as "an anti-Semitic conspiracy-oriented publication." The Southern Poverty Law Center stated that the outlet is "racist and anti-Semitic." 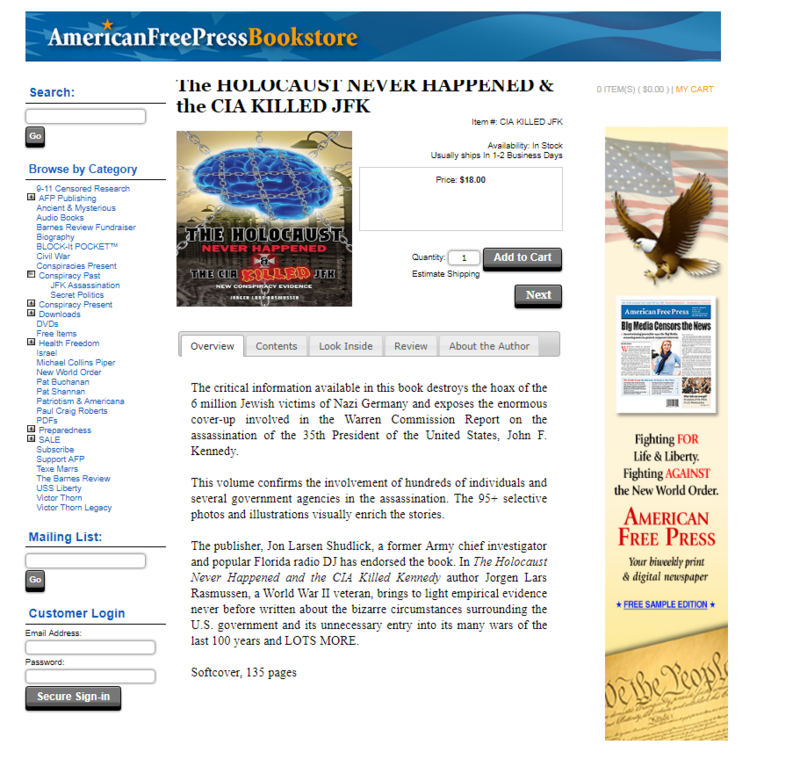 The late Willis Carto, an infamous anti-Semite and Holocaust denier, helped found the newspaper. Arpaio has repeatedly given interviews to American Free Press, including when Trump pardoned him last year after Arpaio was convicted of criminal contempt of court for deliberately violating a judge's order regarding his racial profiling of the Latino community. CNN’s Andrew Kaczynski and Chris Massie reported last week that Rep. Lou Barletta (R-PA), who is also running for Senate, gave an interview to American Free Press in 2006. Mark Anderson conducted that interview as well. Jon Feere, a senior advisor at Immigration and Customs Enforcement, also gave an interview to American Free Press when he was a legal policy analyst for the Center for Immigration Studies. In addition to courting Holocaust-denying publications, the anti-immigrant Arpaio has a long history of racist and corrupt actions.